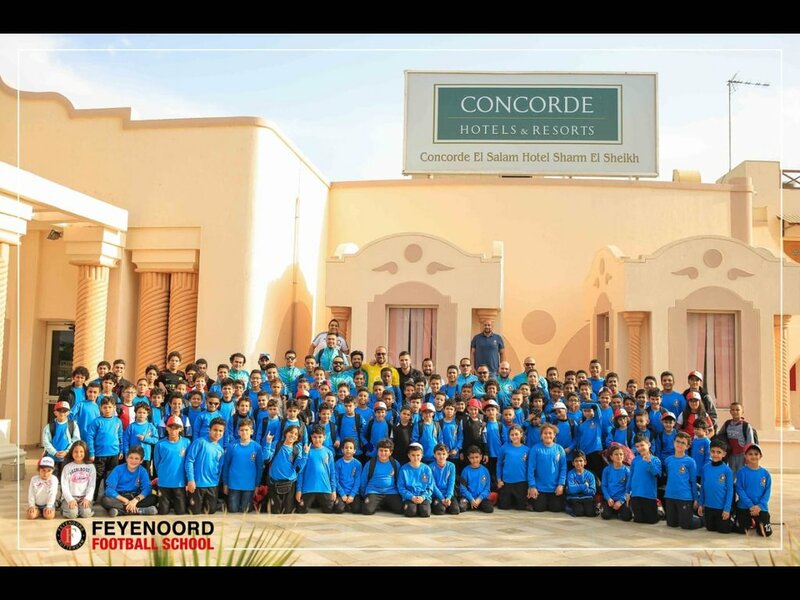 The Egyptian sea resort of Sharm El Sheikh witnessed the second edition of the Feyenoord Football School Egypt winter camps this week. A total of 120 participating players showed off their abilities during this camp, which tested them with two training sessions a day. Feyenoord’s International Development Coach Luka Lalić currently is in Sharm El Sheikh to supervise these training sessions and to educate the local Feyenoord Football School coaches. Together they made sure the children were both challenged and having tons of fun during the intensive three day camp. The first training session took place at the facility of the Feyenoord Football School in Sharm El Sheikh. All the players entered the pitch in a full Feyenoord outfit, which they proudly wore. The sun provided a pleasant temperature of 25 degrees Celsius during the first intensive training session. Feyenoord’s Academy Coach Luka Lalić praises the participating players: ‘These players are very respectful and hard-working. I love to see how the different age groups in our Football Schools perform during these training sessions. The players that stood out the most for me were Baaly (U7) and Moka (U11)’. 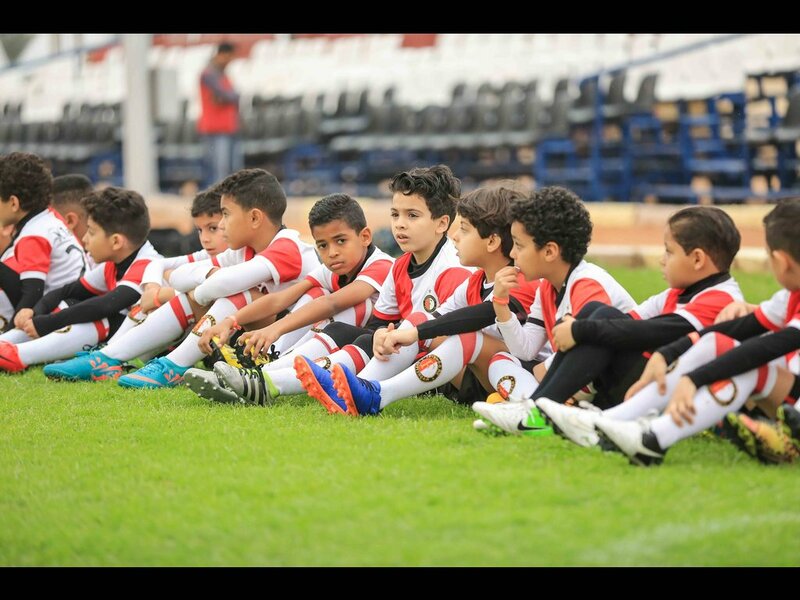 The Feyenoord Football Schools Egypt are located in seven cities across the country, with a total of over 1.500 players. Currently, there are 14 branches for which Feyenoord provides long term training programs and a unique coaching development path. The International Development Coaches of Feyenoord visit these Football Schools several times a year. Local coaches enjoy working with the Feyenoord coaches, so did technical coordinator Mahmoud Abu El Ela: ‘This winter camp is a special experience for both coaches and players, with the Feyenoord coaches always delivering their unique methodology’. Part of the methodology that Feyenoord wanted to share during this camp is a new style of play that is used in the Netherlands for the younger age groups. Mahmoud Abu El Ela saw this new style of play as one of the highlights during this camp. ‘I really enjoyed the “street style” football environment that coach Luka created during the U7 and U8 games. This was a learning point for all the coaches on how to train leadership and decision making from a young age’. The main focus of the camp is football ofcourse, but the schedule also allows time for fun and relaxation. On the fourth day, all players could relax and enjoy the weather in the pool after an intense workout. Meanwhile, the coaches of the Feyenoord Football School came together with the International Development Coach of Feyenoord for an educational session about the latest methodology that is used within the Feyenoord Academy. 'Our coaches in Egypt are always very eager to learn and strive for a very high level', says Luka Lalić. On Wednesday 30th of January the winter camp came to an end. Both coaches and players can look back with satisfaction at a very intensive and instructive winter camp. This Sunday International Development Coach David Toxopeus will also travel to Egypt. His main objective will be to visit the various branches of the Football Schools to instruct local coaches and work with Egyptian talents.